After Months of negotiations, post election violence from the 2008 presidential run-off, Zanu PF’s Robert Mugabe signed a power-sharing agreement with MDC founder Morgan Tsvangirai and MDC formation leader Arthur Mutambara. Mugabe became executive President, Tsvangirai as executive prime minister and Mutambara as deputy prime minster. 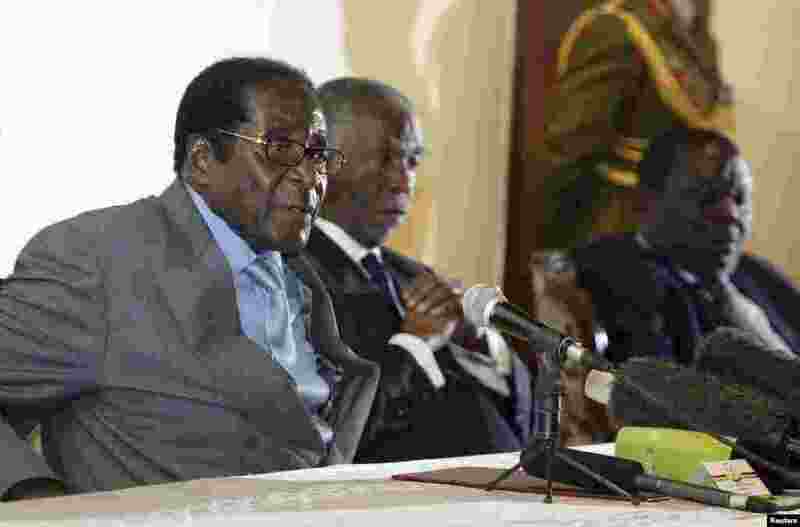 1 Zimbabwe's President Robert Mugabe (L) addresses the media as South Africa's President Thabo Mbeki (C) and leader of Zimbabwe's main opposition Movement for Democratic Change (MDC) Morgan Tsvangirai listen at Harare's Rainbow Towers Hotel July 21, 2008. 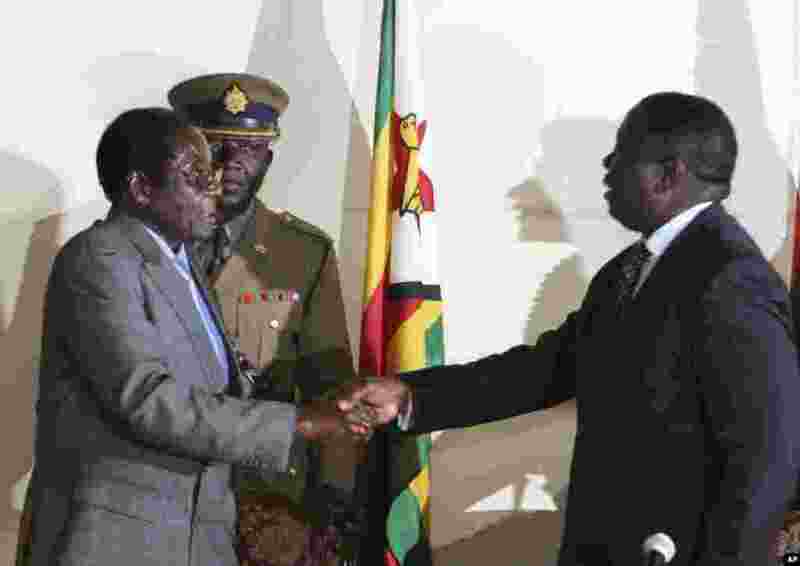 2 President Robert Mugabe, left, shakes hands with Morgan Tsvangirai, leader of the main opposition in Zimbabwe at the signing of a memorandum of understanding between the two parties. 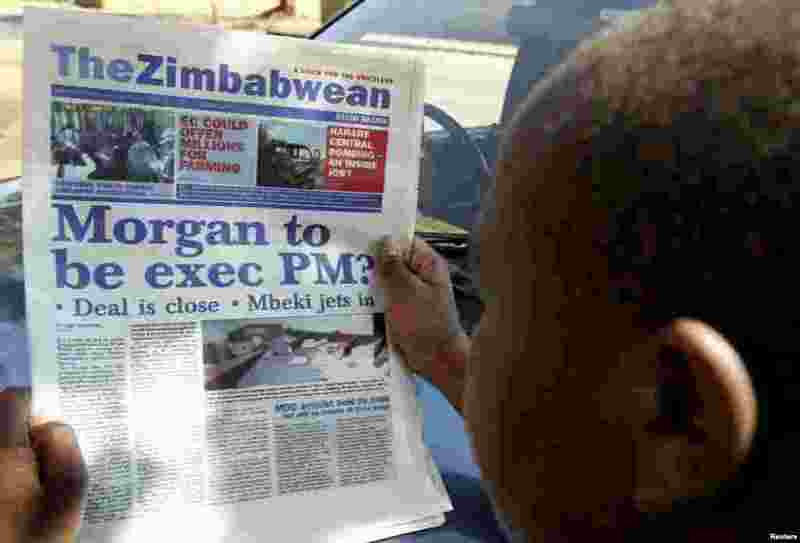 3 A man reads a local daily newspaper on the street of Zimbabwe's capital Harare August 8, 2008. Zimbabwean President Robert Mugabe and opposition leader Morgan Tsvangirai held make-or-break talks in Harare later that week. 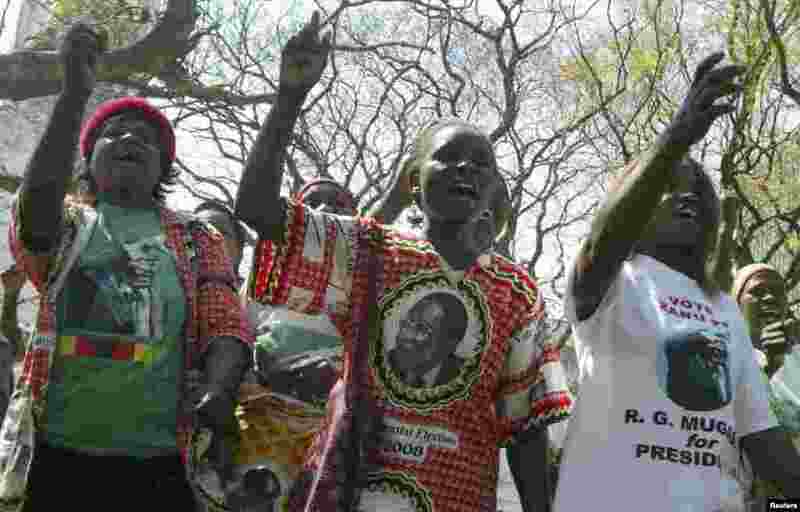 4 Zimbabwe's ruling ZANU-PF supporters salute President Robert Mugabe before the opening of the Parliament in Harare, August 26, 2008. Mugabe was jeered on Tuesday as he opened parliament in defiance of opposition objections, but voiced optimism for a power-sharing deal to end political turmoil.